Wednesday | June 6 | 6:00 p.m. 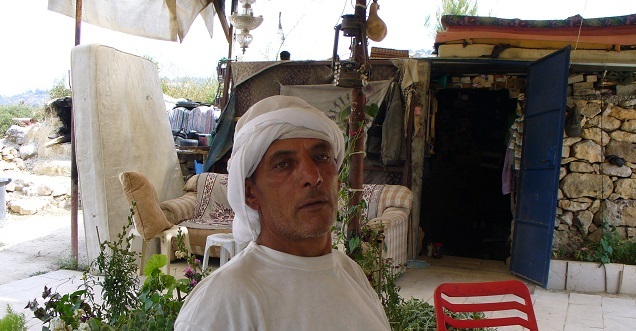 In 1948, Abed and his family were forced by the Israeli army to abandon their home in the village of Al-Walaja near Bethlehem and move to Dheisheh Refugee Camp. Later in life, Abed discovers a 5000 year old Kanani cave on his father’s land and decides to live in it, dreaming of turning it into a coffee shop that will not only generate income but share his passion with the outside world. He welcomes visitors from all over the world, offering them coffee and an amazing view. However, after the release of Abed’s brother from an Israeli prison, his plans are disrupted by the Israeli demolition of his cave. Sweden, Palestine | 2016, 52 min. To view a trailer of the film click here. Wafa Jamil is a Palestinian-Swedish producer and filmmaker based in Sweden. She holds an M.A. in Regional studies and B.A in Journalism.